Flexible, adaptable and durable, brush strip provides innovative solutions for thousands of applications from agriculture to aerospace. 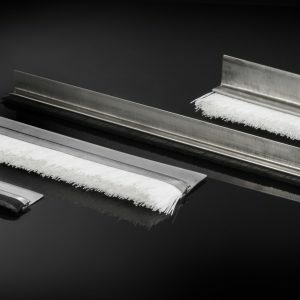 Brush strip seals buildings and sensitive equipment against uncontrolled air infiltration to prevent energy loss, deters rodents and protects against dirt, noise and cold smoke without impairing moving parts. 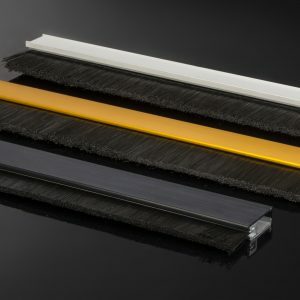 Used extensively in transportation, our brush strip seals levers, panels and doors, whilst in production it will clean, wash and finish a range of materials from glass to concrete. 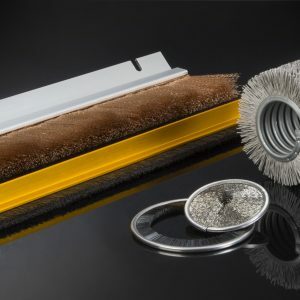 As a guard, brush strip protects against entrapment and safely contains dust and fumes. 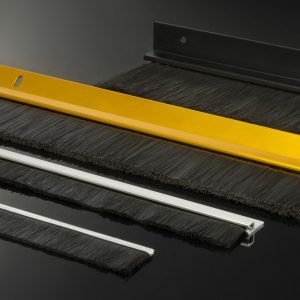 The UK's leading range of standard Brush Strip, available for next day delivery or quickly customised to your requirement. Superseal FR Fire Retardant Brush Strip, for applications needing protection against fire and smoke. Available for next delivery. Slim and elegant brush strip seals for all types of commercial and automatic entrance door systems. 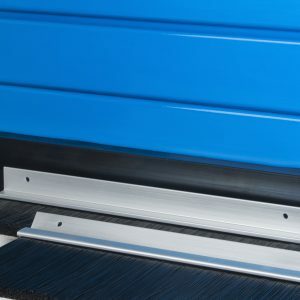 From garages to hangars, Superseal Brush Strip is perfect for sealing against draughts, dirt, dust, noise, pests and cold smoke. 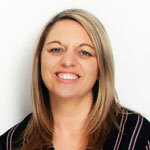 Kleeneze-KOTI specialises in the design and manufacture of brush strip to virtually any shape or size. This special brush strips comes complete with a practical fixing flange formed integrally from the spine of the brush.